Alecia is passionate about social justice and how we can all play an active role in shaping and contributing to the communities in which we live. 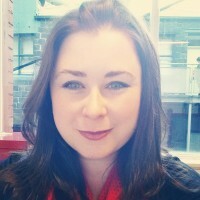 In her role at FYA, Alecia is responsible for leading the FYA team to efficiently and effectively deliver the strategic priorities of the organisation, work in collaboration with all team members create a strong organisational culture, work to diversify and grow revenue and deliver on financial performance and represent the organisation externally. Alecia is currently a non-executive director and Co-Chair of the Board of Directors of YWCA Victoria and a member of the CPA Australia Public Sector and Not for Profit Committee. Alecia has a Bachelor of Commerce, is a Certified Practicing Accountant, and has a Graduate Certificate in Management of Not for Profit Organisations.